Sometimes, we get mail. And sometimes (okay, this is the first time) we respond to the good stuff. Burning inquiries, meet critical intel. We call it: The Mailbag. Guess it’s self-explanatory. I was at Sissy’s when I saw a sign across the street for something called Trunk Club. And that is...? UD: ... A place that typically curates a bunch of dapper clothes and ships them to you via trunks. Hence the name. Anyway, they’ve set up an actual shop in a wood-and-brick warehouse on Henderson. It’s nice. I’m thinking about checking out this Trunk Club. Good idea? UD: Depends. Do you like being greeted with a glass of whiskey? If so, proceed. I just bumped into George L and he apparently drank whiskey at Trunk Club. What gives? Thought they sold clothes? UD: Serve drinks. Sell clothes. 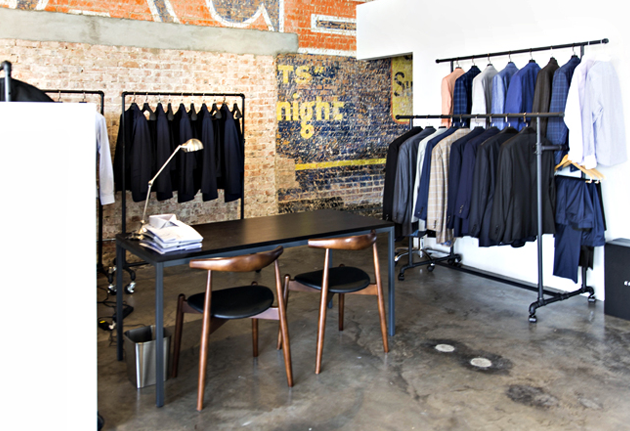 There’s even in-house consultants who’ll help you comb through racks of Jack Spade shirts and J. Press jeans. Helpful when you’re preoccupied with whiskey. I think I’d like Trunk Club, but Henderson is far. Now what? UD: Now you ring them and order one of those trunks for delivery. Keep what you like, return what you don’t. No, they won’t ship the booze.